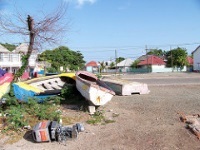 Sightseeing in Kingston has a split personality due to the city's colonial past. Visitors will find attractions like Devon House and Spanish Town with grand British and Spanish architecture next to bustling markets with a distinctly Afro-Caribbean flavour. Visitors shouldn't miss touring the stately mansions and art galleries alongside the beaches and Bob Marley sights. Further from the city, the Blue Mountains offer a wild experience with waterfalls, hiking, and tours of thoroughly-modernised coffee plantations. 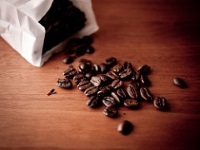 Don't miss out on sampling the world-famous Blue Mountain coffee; the best place to do so is at the Jablum Coffee Company in the village of Mavis Bank. Kingston has come a long way, and is sure to have something to do and see for everyone. 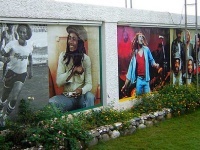 Highlights include the Bob Marley Museum, located in the musician's former home in Kingston; Port Royal, the one-time capital of Jamaica, famous for its tales of piracy; and the National Gallery, a small but well-maintained art museum which showcases a number of local artists of international repute. You can also enjoy a picnic and a stroll in the Hope Botanical Gardens, which has a small zoo that will entertain children, and a few hours of shopping and dining at Devon House, a magnificent Georgian mansion which has been turned into a craft and heritage centre. In the Blue Mountain hamlet of Mavis Bank, on the trail to Blue Mountain Peak, lies the Jablum Coffee Company. We are looking for contributors for our Kingston travel guide. If you are a local, a regular traveller to Kingston or a travel professional with time to contribute and answer occasional forum questions, please contact us.